Now treat yourself to our VIP Experience! Let us remove some of the common stresses from race weekend with our VIP Experience! Whether you’re hoping to avoid lines for the porta-potty or want to keep warm after the race, our VIP Experience has been designed to alleviate the pre-race jitters and post-race logistics. Do you have friends and family coming to cheer you on? 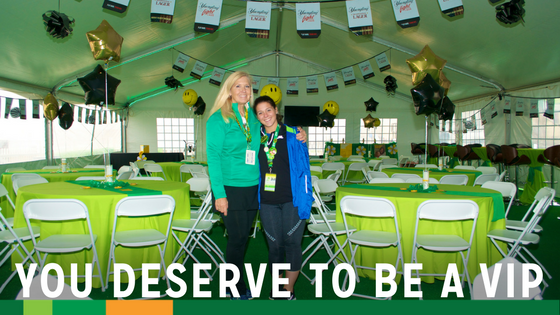 Our VIP Experience provides them a warm place to wait while you run and a front row seat to cheer you on at the finish line. Don’t forget to purchase tickets for them, too. There are a limited number of tickets available for the VIP Experience, so register today. *Tickets are required for anyone 5 years old and older. **Tickets are nonrefundable, nontransferable, and are not included in race deferrals.